Please take a moment to complete this easy survey. My number one goal in Congress is representing the priorities of the folks in Kentucky’s 4th District. I value the opinions of my constituents and end most of my days by reviewing daily correspondence sent to my offices in Kentucky and Washington, D.C. 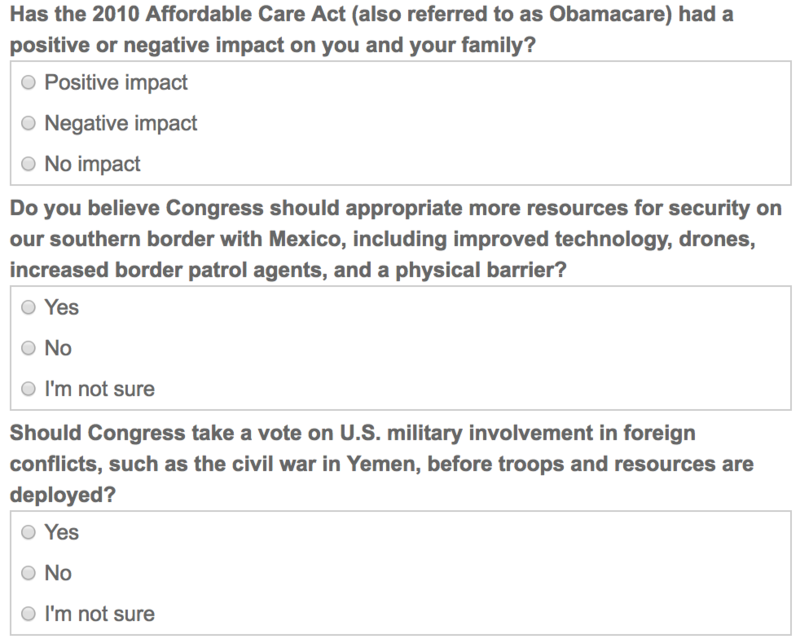 There are many pressing issues facing the 116th Congress on which I would appreciate your input. I hope you’ll take 30 seconds to fill out this easy survey. Thank you for your time and response! If there is any way I can be of assistance to you, please call my office. My Kentucky staff can be reached at (859) 426-0080 and my staff in Washington, D.C. can be reached at (202) 225-3465.